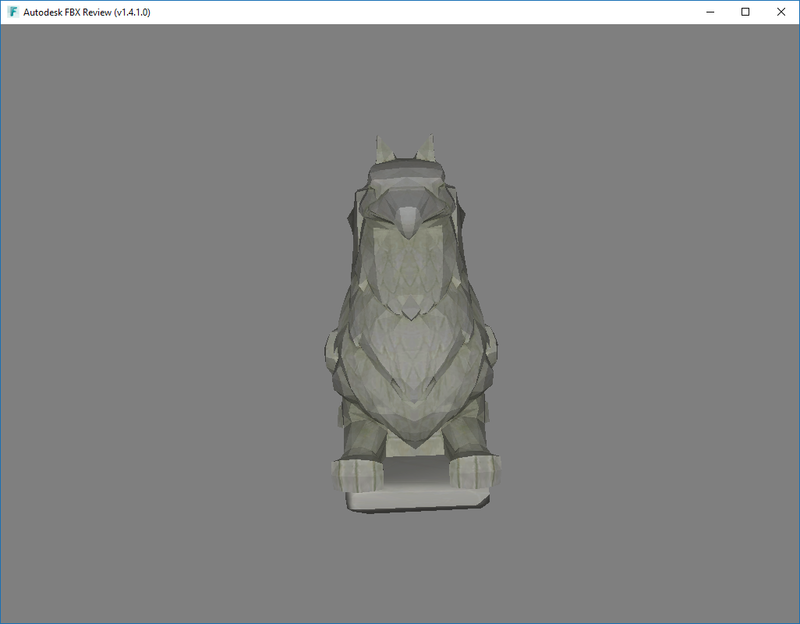 Exporting the model to obj also exports an mdl file that contains the mapping to the textures. 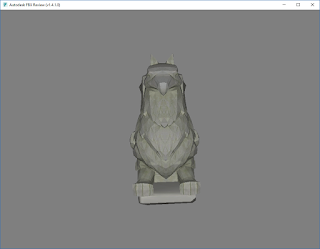 The obj file can be viewed via numerous of tools, like Autodesk FBX Review viewer. 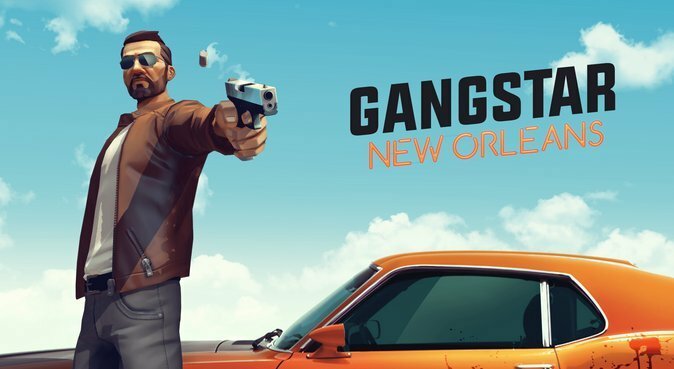 Funny open world game from GameLoft, Gangstar: New Orleans. Left (Green) is the Tracer model from Overwatch, this is the LOD 2 showing. LOD 4 and 8 are obviously not highly detailed enough. Right (gray) is the Tracer model from Heroes Of The Storm. Very polished if I may add! but as you may see, the proportions are identical. First Tracer from Overwatch, the face and body share the same uv set, but the hair and the glasses are separate. The HotS one is a traditional unwrap, with the right upper corner empty for the ult skin mesh parts, and it also includes the unwrap of the weapon. Overall quit comparable but not compatible. 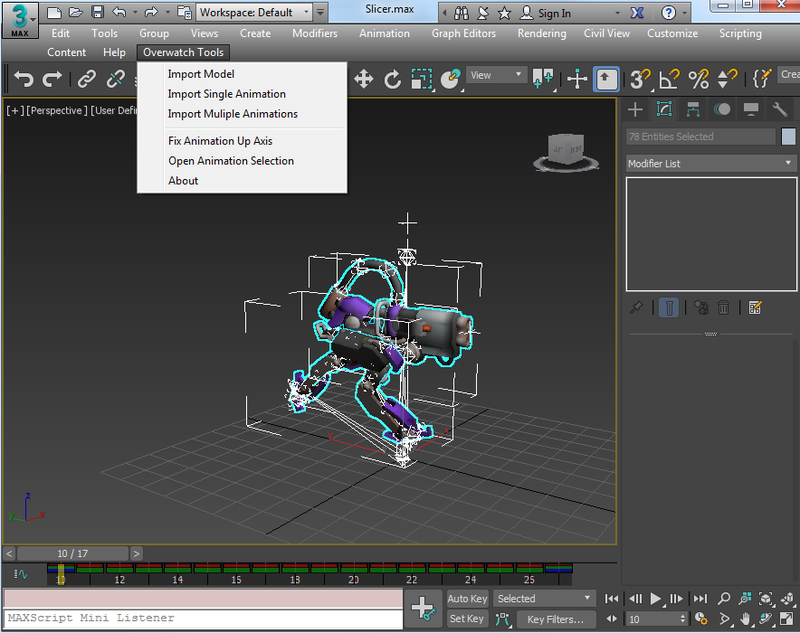 The original m2 import script for 3D Studio MAX nolonger supports the new models from Legion. So, after a long weekend of brain breaking, I updated the existing script (written by Nintoxicated) to work with these new models. There is a catch tho... there is no longer any support to import materials. So you will need to do this manually. 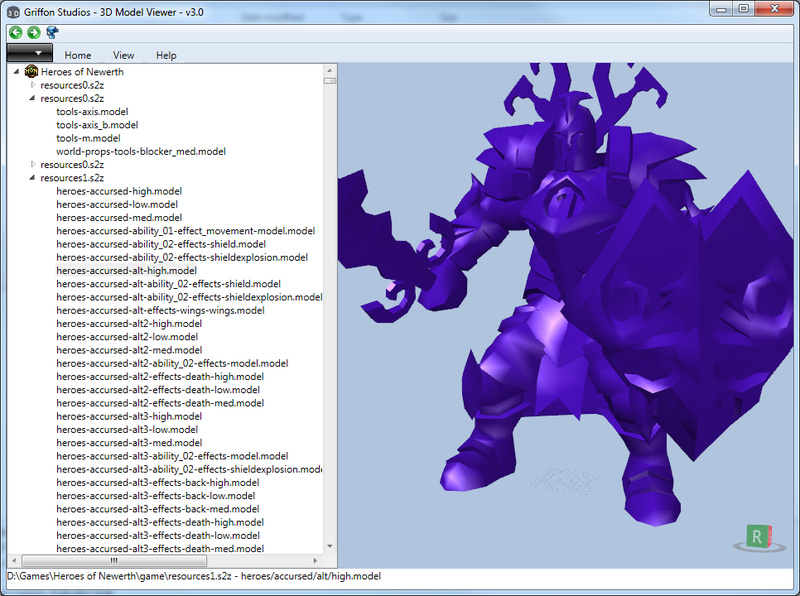 When I reverse engineer models, I don't think too much about abnormalities. Normally it is just the vertices, indices or faces, normals and texture coordinates. These are the primary things I look for and apply them to a mesh in 3D Studio Max. This was my method to make it work. Recently I stumbled on a more advanced setup, that of Overwatch models. They have multiple UVW map channels. So I need to apply this to the imported model too. After reading, like, a LOT of the documentation and searching the internet, which of course had no real solution and certainly no example, I had to figure this out by myself. Format "Applying secondary uv texture coordinates mapping"
For each additional channel, up to 99, you need to set the number of supported maps explicitly. How can you see these mappings? Select the model and add the "Unwrap UVW" modifier and press "Edit..." for the initial texture coordinates. Change the channel to 2 and press the button "Reset UVWs", when prompted, press Yes. And press the "Edit..." button again. This will display the second applied texture coordinates as shown in the picture below. Secondary texture coordinates are usually used as an emission map or light map. 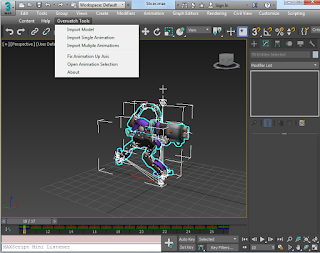 Overwatch Import Tools v1.0 for Autodesk 3D Studio Max. The animations are split up into different categories or types. The Overtool does an excellent job separating them into different folders. Currently there is only support for animation category 160. Other types may work, but are usually layered animations and are currently not supported. The Overwatch Import Tool v1.0 is a tool to be used as is and I cannot be held responsible for any other issues that may or may not occur. Install the Tools (.mzp file) by going to Scripting -> Run Script and select the file. This will install a menu item "Overwatch Import Tools"
Currently working on the latest format for Overwatch. Heroes of Newerth is now supported with my model viewer. Just select "Heroes of Newerth" in the viewer and select the folder where you installed Heroes of Newerth. No need to unpack anything for the viewer. 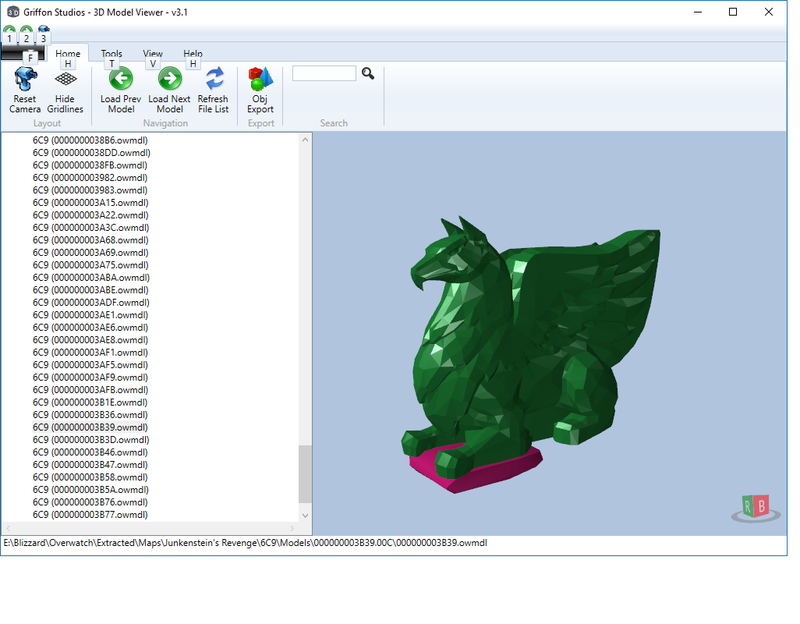 Export to .obj via the Home menu.